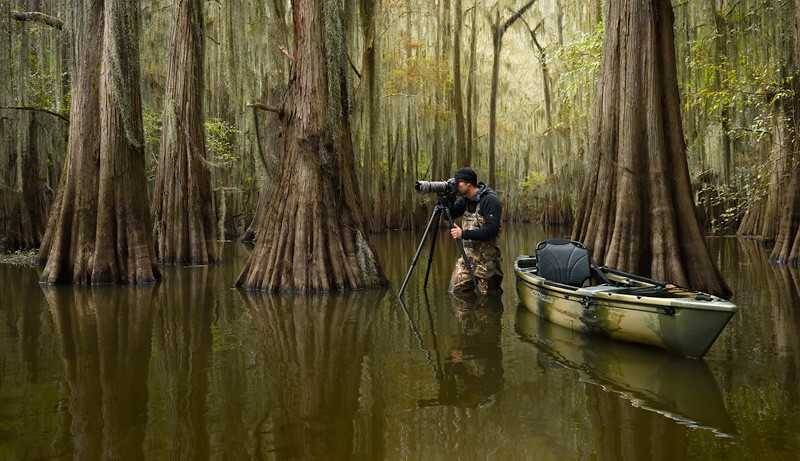 This is me shooting in the swamps of the Atchafalaya Basin in the US. In an effort to add another totally unique tour to our portfolio, we set up the world's first Cypress Swamps tour in Texas and Louisiana. The fairytale-like landscapes are among the most stunning I have every seen, and even just paddling around without taking photographs is a tremendous experience.